Lyra Graphite Crayons are excellent for sketching, layout, and design. These crayons glide over most papers. The paper covering keeps hands clean in the process. 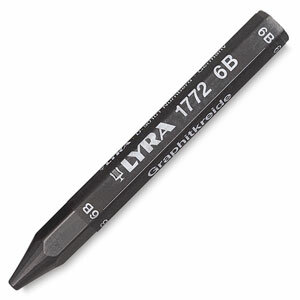 Approximately 1/2" (13 mm) in diameter and 4-1/2" (114 mm) long. Available in three degrees.